Most advice for parents begins with the question “How can we get kids to do what they’re told?” – and then proceeds to offer various techniques for controlling them. 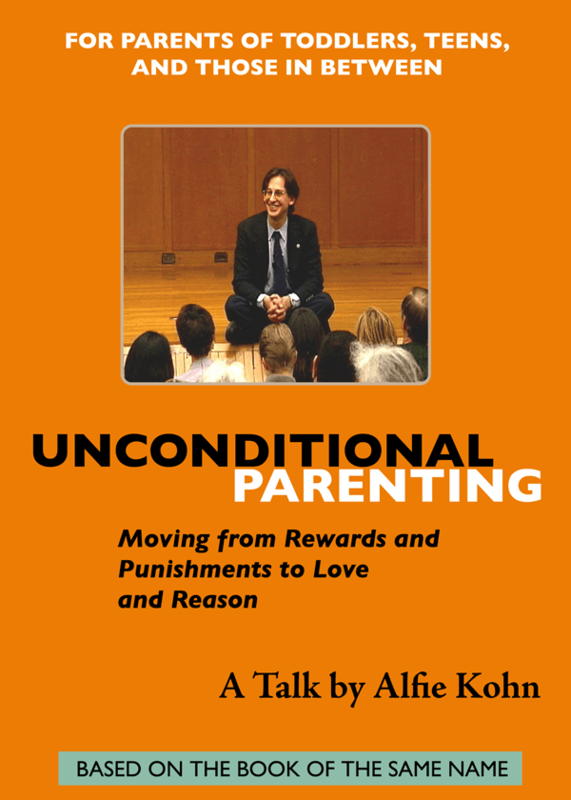 In his landmark book Unconditional Parenting – and in this talk based on that book – Alfie Kohn begins instead by asking “What are our long-term goals for our children?” It follows that we need to work with them rather than doing thing to them, in order to reach those goals. Kohn argues that punishments (including time-outs) and rewards (including positive reinforcement) may sometimes produce temporary compliance, but they do nothing to help kids grow into responsible, caring, ethical, happy people. Moreover, he suggests that permissiveness is less worrisome than a fear of permissiveness that leads us to over-control our children. Kohn concludes with ten important guidelines to help viewers reconnect to their own best instincts as parents. Alfie Kohn is as well known for his lectures — passionate, thought-provoking, and funny – as he is for his writings. His knack for blending stories and studies has the effect of making complicated concepts easy to understand – and controversial ideas impossible to dismiss.